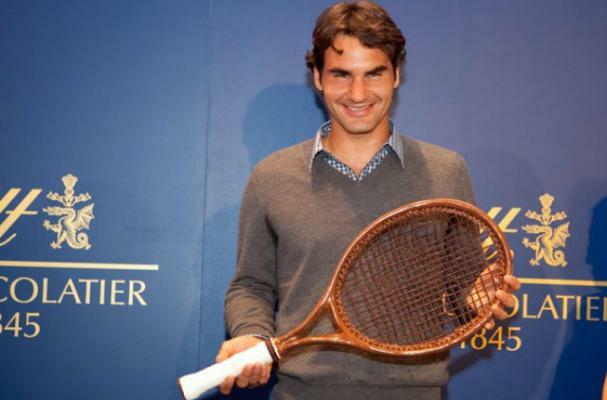 Tennis star Roger Federer reprises his role as celebrity endorser in the latest commercial for Lindt. The 30-second spot called "Lost" continues right where his 2010 commercial ended, with Federer looking for his duffel bag of LINDOR Truffles at the airport. "Growing up in Switzerland, I have always been a fan of Lindt and it has been an honor to serve as the Lindt Global Brand Ambassador," Federer said. "I had a great time taking a break from the tennis court to reprise my role in the new LINDOR commercial, and I am excited for fans to see the final product." Watch Roger Federer in the latest Lindt commercial below!